Perfect for the transportation of chemicals, with leakproof sump for spillages and secure self-latching doors. Welded steel walls with insulating air space for extra fire resistance. Adjustable shelf for versatile storage. Includes three bungee cords to help keep contents in place during movement. Designed to meet OSHA, NFPA and HSG140 standards. Exceeds HSG51 and DSEAR requirements. 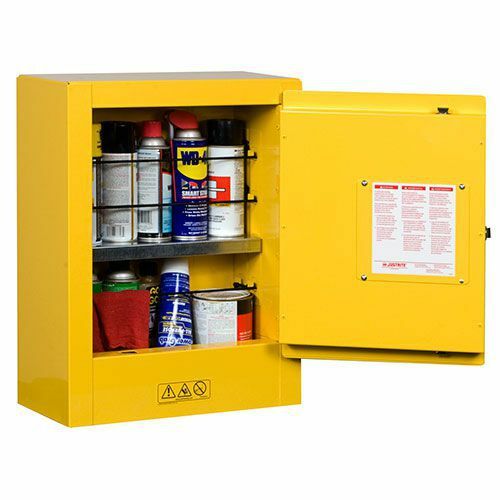 Small storage cabinet for easy mobility on service vehicles, carts and maintenance trikes.